Don Marston’s Canadian and international ADR practice as an arbitrator, mediator, and project neutral is particularly focused on construction, engineering and infrastructure project disputes, as well as commercial disputes. Prior to establishing his ADR practice in 2005, Don was a partner (from 1977 to 2004) in the Canadian law firm Osler, Hoskin & Harcourt LLP. He was the founder and Chair of its Construction Law and Infrastructure Projects Group and a member of its International Commercial Arbitration Group. 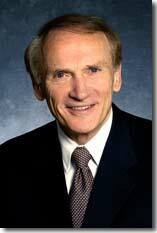 A graduate of Queen’s University in both engineering (1963) and law (1971), Don has been a registered Professional Engineer since 1965 and a barrister and solicitor since his call to the Ontario Bar in 1973. He is a Fellow of both the American College of Construction Lawyers and the Canadian College of Construction lawyers and a former Chair of the International Construction Projects Committee of the International Bar Association. Don’s international appointments as an arbitrator have included ICC, ICDR and AAA arbitrations. He is a member of the AAA/ICDR’s international panel of neutrals and the international panel of arbitrators of the Hong Kong International Arbitration Centre. He has more than ten years experience chairing Dispute Resolution Boards in eastern Europe and in Canada. Don has very broad experience on a wide range of major projects. Prior to his full-time ADR practice, he acted as legal counsel for owners, contractors, developers, consultants, lenders, and government agencies. His experience includes major infrastructure projects, build-operate-transfer (“BOT”) projects, public-private partnerships, toll highways, airports, subways and other transportation facilities, commercial high-rise building and civil works construction, equipment procurement and industrial facilities, cogeneration and nuclear energy projects, water and waste treatment facilities, natural resource projects, pipelines, and environmental systems and technologies. Areas of focus included risk assessment analysis, contract negotiation and drafting, joint venturing, corporate aspects, financing, concession agreements, international business issues, claims and dispute resolution, including advising on litigation matters and acting as an arbitrator, mediator and dispute resolution board member. A graduate in Metallurgical Engineering, his engineering practice, prior to his law career, included experience in both the steel and construction industries. consultant to U.S. counsel with respect to claims matters on major industrial installation in northern U.S.
Don Marston is a former President of the Toronto Lawn Tennis Club. He is also a Fellow of the Ontario Society of Camp Directors; and a Director of Camp Hurontario (a long established boys’ camp featuring outdoor activities for boys. Camp Hurontario is owned by Don’s family, and is located on the islands of Georgian Bay, Ontario). Don’s sporting activities include tennis; canoeing; skiing; and golf.